Most of my drawings and sketches are done in char-coal or drawing pencils with a lot of smudging and erasing. I am one of those artist that the creation of my vision does not come easy, it’s usually a labor of love and it involves a lot of erasing and refining. It takes me quite sometime to finalize my work and I always feel like it is never finished. I usually strive to capture moments of lines and volume, almost as if the image pops out of the paper. I love the work of Théophile Victor Emile Lemmens a french artist from the 1800’s who was famous for his undulating lines in his drawings and paintings and how his images are layered on his work surface, I strive for that effect in my work. 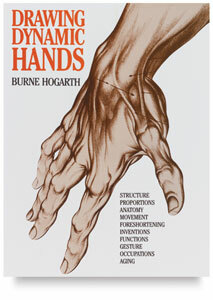 In this piece I incorporated Lemmens style with some Chiaroscuro techniques, I emphasized on the veins and lines of the hand as the index finger points and drops of blood run out of the nail bed. I drew lines with charcoal on a sheet of paper, crunched it and placed it on a box in order to have a subject to practice more of Lemmens techniques and also utilized Chiaroscuro techniques to emphasize on the shadows created by the sheet of paper. A pencil drawing of Morrissey’s 1988 album cover, “Viva Hate”. I used a soft graphite pencil for the main sketch, a Berol charcoal pencil for the shadowing, my fingers for blending and a kneading erasure to obtain the details and for additional blending. The top picture is a drawing of Stephen Morris on the front cover of New Order’s 1985 album,”Low-Life” of Stephen Morris the drummer/keyboardist. The bottom picture is Jim Morrison on the cover of The Doors 1985 album, “The Best of The Doors”. 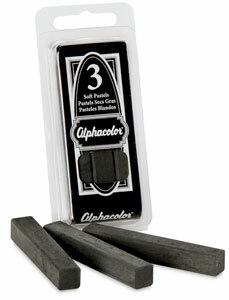 Alphacolor Soft Pastels , this square sticks are very rich and smudge nicely with your hand, paper or a tortillon. This group of drawings were essentially all done the same way, 1 light pointing to the subjects in a dim room in order to produce shadows. A study Lemmens, I tried to achieve the feeling that the hand is coming at you trying to grasp something. I used a “Berol” charcoal pencil, extra soft. I blended just enough to show the roundness of the hands and fingers without losing the main lines. I also used a kneading erasure to remove any excess. Another study of Lemmen, though unfinished I was able to achieve the undulating lines giving the sketch volume.